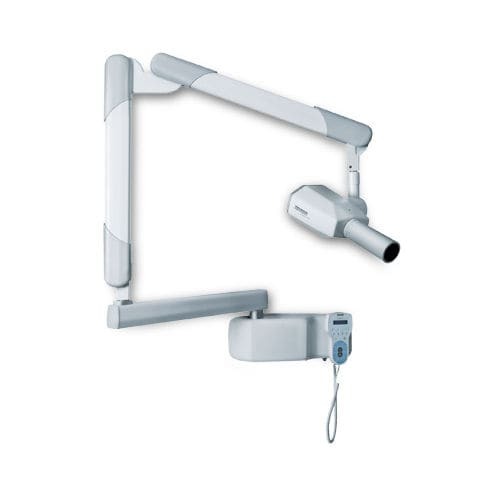 X-Rays device wall mounted, providing good stability and improved space on clinical rooms. 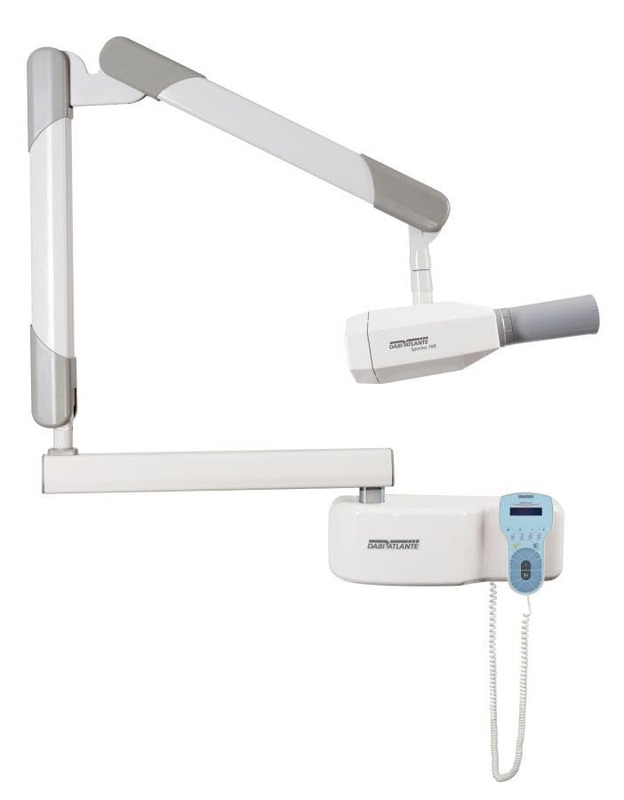 · Swivel arms made of steel and steel with cover made of high-impact injected ABS, with horizontal reach of 1104 mm and vertical reach of 620 mm; mechanically balanced through springs that compensate the device weight, making the positioning of the head easy and, even in more difficult radiography. · Head with grounding system for increased operator protection; Toshiba brand imported bulb provides greater safety as for efficiency and durability based on international experience of manufacturer; two limiters in articulation offer protection to electrical cables.